TOCWOC’s Take: Private Whitfield served with the 17th Virginia of Pickett’s Division during the Civil War. His regiment missed Pickett’s Charge at Gettysburg, but they did play a role in covering the Army of Northern Virginia during the retreat. I mainly purchased this book for its information on the 17th and Corse’s Brigade during the Siege of Petersburg. Whitfield and his unit spent most of that time on the Howlett Line keeping portions of Butler’s Army of the James bottled up on Bermuda Hundred. Whitfield’s two sons collected his notes and, making editorial changes, had them published in 1935. This reprint is from 1996. TOCWOC’s Take: This memoir of one of Stonewall Jackson’s foot cavalry is on the shorter side at only 87 pages including a short index and bibliography. Cave promised his dying father he would fight for the Confederacy to the end..and he did, ending up in the Shenandoah Valley with the remnants of Confederate forces at war’s end. Cave’s previously unpublished memoir is supplemented with maps by Clifford Dowdey and illustrations. This looks like a perfect memoir to read in one sitting, but be warned that the few sample passages I read are full of “Lost Cause” rhetoric about overwhelming numbers and starving Confederates from 1864 on. Robert Catlett Cave of Orange County, Virginia promised his dying father that he would serve Virginia as long as she might need his services. He joined the Montpelier Guard, Company A, Thirteenth Virginia Infantry Regiment, Army of Northern Virginia, C.S.A. This unit participated in more than seventy engagements during its career—from Manassas to Appomattox. In his brilliant, vivid and fascinating story of his Civil War experiences, this member of General “Stonewall” Jackson’s “foot cavalry” takes the reader through four years of battles and engagements with eyewitness accounts of fierce and bloody combat. He was wounded twice and his narrative brings the “Rebel Yell” to life. During the four years of the conflict, the killing fields of Virginia saw sixty-five percent of all the fighting that occurred during the war. Author: Wallace, Lee A., Jr.
TOCWOC’s Take: This book is a reference work I purchased to help with The Siege of Petersburg Online. It’s an H.E. 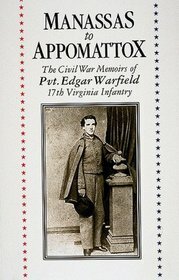 Howard book in the The Virginia Regimental Histories Series. A typical entry includes names of commanders along with what happened when/if they left the regiment via promotion, wounds, death, resignation, or in some other way. Each company of regiments is listed along with formation dates, commanders, and when and how the company joined and/or left the regiment. Very brief organizational histories help genealogists and researchers trace where ancestors might have ended up if the regiment or its companies were shuffled in some manner. Several areas cover the counties in which units were formed, first listed by unit and then by county. Another nice feature is the list of nicknames for companies/batteries/regiments followed by their official designations. This is particularly helpful for the often confusing Confederate battery naming conventions where unit leaders, nicknames, and official unit designations were often interchanged freely. It can be enough to make one’s head spin sometimes. In addition, the often confusing array of Local Defense Troops, State Rangers, Reserves, and Militia all get their own chapters. This will be particularly helpful for me in researching the various array of reserves in the Department of Richmond in 1864-65. 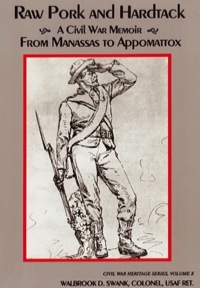 Buy A Guide to Virginia Military Organizations 1861-1865 now at Amazon.com!